30 percent of government cars must be fueled by alternative energy sources in the next two years. According to an announcement made by China and reported by Bloomberg News, China’s plan for “new-energy vehicles” includes vehicles that use alternative fuel sources, which can include electric cars, hydrogen electric fuel cell vehicles, and plug-in hybrids, and a minimum of 30 percent of government vehicles bought between now and 2016 must be one of these types of vehicles. Local provinces will also need to meet the new green fuel target after 2016. To help encourage the electric vehicles (EVs) market, China recently announced that it would give a tax break for foreign and domestic electric cars through 2017, waiving the 10 percent purchase tax on EVs. The hope is that this will help the market for these cars, which have not met the government’s goal of having 500,000 new-energy vehicles on the roads by the end of 2015. Currently, there are less than 100,000 of these alternative fueled vehicles on the road. Thus, it will be very difficult for the Chinese government to meet its 2020 goal, which would see 5 million new-energy vehicles on the roads. According to the government, the new sedan purchases for the EV fleets should not exceed the cost of $29,186 (180,000 yuan) each. This should provide Chinese electric car producers, such as BYD Auto, with the needed boost to compete at this price point. A lack of infrastructure to support vehicles with alternative fuel sources is a problem. The Chinese government will need to build EV charging stations in addition to purchasing the vehicles. This will help open up the market for more Chinese consumers who are interested in buying electric cars. It was noted in a 2013 International Energy Agency study that half of the country’s population is bunched in urban centers. Many of them reside in multi-unit dwellings where EV charging infrastructure does not exist. Some owners of electric cars have said that they are unable to use their vehicles on the weekends because the only place they can charge them is where they work. 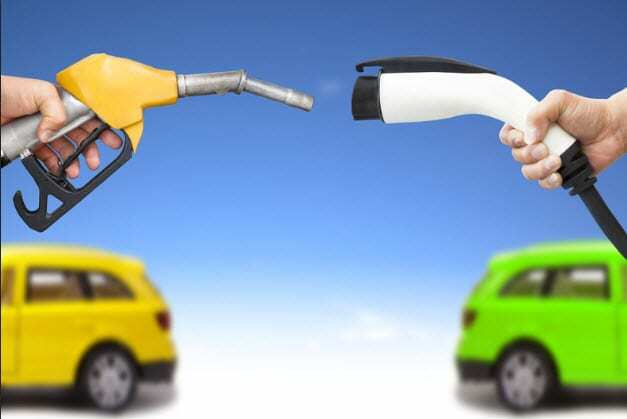 However, near the beginning of July, Beijing unveiled a plan for 10,000 public rapid charging stations, which could help improve the adoption of vehicles with alternative fuel sources. Most of these stations will be located at train stations, airports and other transit hubs. Furthermore, earlier this year, BYD released its Denza EV model which is the first electric vehicle in the world to offer DC quick charging for homes.